Weird years brought CMU and McElwain together. Now what? 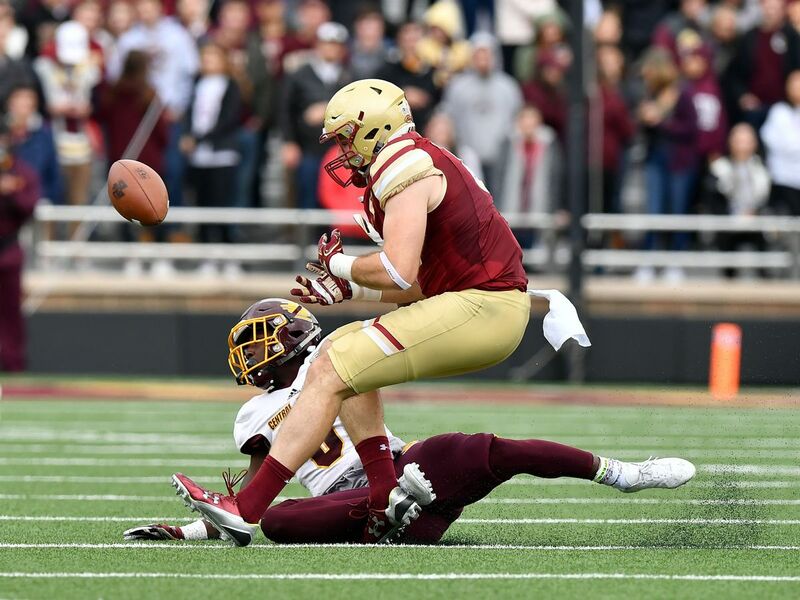 Defensive end Mike Danna was an outright star, producing 9.5 sacks and 15 total tackles for loss; he had 14 percent of CMU’s total havoc plays. Defensive backs Da’Quaun Jamison and Sean Bunting started in the secondary and combined for six tackles for loss and 11 passes defensed. Not bad! Danna, Jamison, Bunting and a few others powered a defense that ranked a solid 69th in Def. S&P+. It was the third time in Bonamego’s four years that CMU was in the top 70. All of that is fine if others are producing. But Ross was the team leader at the skill positions. A freshman — receiver Julian Hicks — was second. 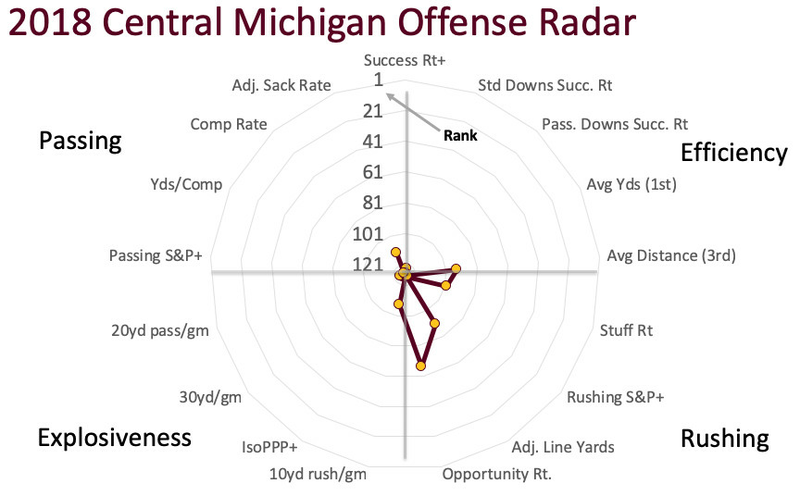 CMU oscillated from one quarterback to another (four threw at least 22 passes, and none threw even 150). 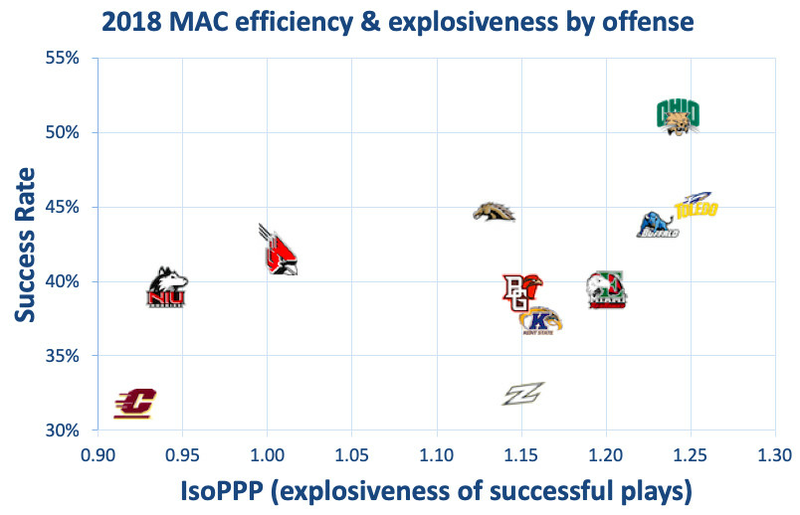 CMU’s offense, the lesser of Bonamego’s units, wasn’t “lesser” in 2018 — it was the worst in FBS. 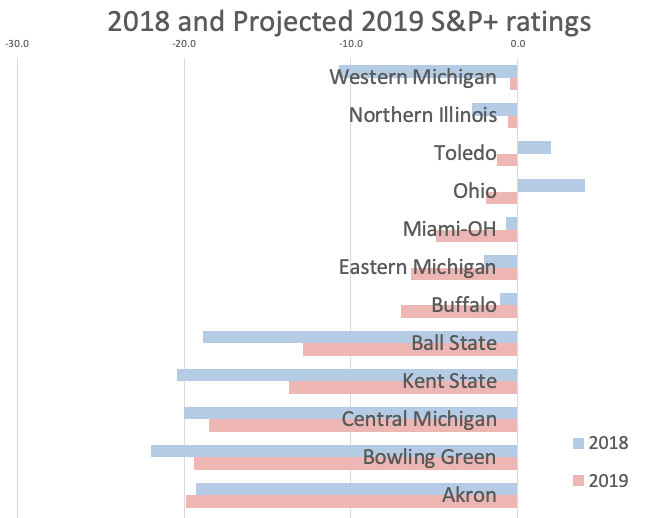 The Chippewas’ 9-point adjusted scoring average in S&P+ is the worst college football has seen since 2013, 1.6 points per game worse than the second-worst in that span (2015 Kent State). Bonamego’s weaknesses got paired with a veteran talent deficit set in motion before he arrived. In that way, it’s a little bit unfair that CMU sacked him following a predictably poor 2018. At the same time … the Chips were 1-11. Their minus-20 overall S&P+ rating was their worst in their 44 years as part of college football’s top division. The gregarious Bonamego had a few years to prepare for 2018, but couldn’t. So now it’s Jim McElwain’s turn. The 56-year-old is a man of the world at this point — the Eastern Washington grad spent the first 15 years of his career out West and got his first head coaching job at Colorado State in 2012. But he’s also spent four seasons in the Midwest (as either a Michigan or Michigan State assistant) and developed Southeastern ties as an assistant at Louisville and Alabama and in three strange years as Florida’s head coach. After a yearlong rehab as Michigan receivers coach, McElwain must figure out how CMU can move the football for the first time in a while. The last time they were better than 78th in Off. S&P+ was 2012; their last time in the top-50: 2008. Recruiting-wise, he’s not wasting time. He signed seven three-star offensive players in December, led by dual-threat quarterback Daniel Richardson (who committed to McElwain) and mid-three-star running back Lew Nichols III (a Bonamego commit). Plus, the Chips are in the top 10 in returning offensive production this year. The competition between experienced upperclassmen and talented freshmen could be fun. You’re never that far from a rebound in the MAC — the talent levels are the height of parity — and while McElwain was never dominant as a head coach, he did produce at least eight wins in his last two seasons at CSU and first two at UF. When you bottom out like CMU did, it’s smart to give the new coach a no-expectations Year Zero out of the gates. 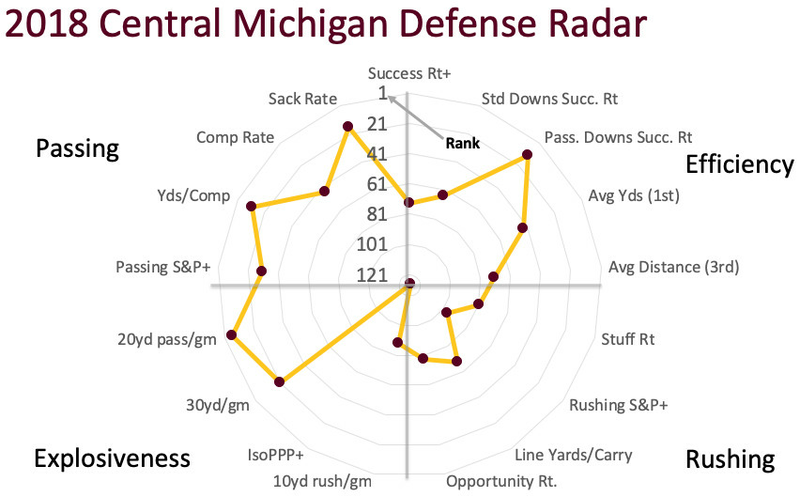 But it wouldn’t be surprising if the Chippewas improved by quite a few wins this year. Competition, competition, competition. That’s where any positive spin begins. While there will almost certainly be some transfers between now and August 29, quantity is this offense’s strength. Junior Tony Poljan, by far the most interesting athlete on the roster. The size of a tight end (6’7, 235), Poljan threw for 625 yards, rushed for 235 (sans sacks), and caught seven passes for 125 yards and two touchdowns. He’s completed only 53 percent of his passes with two touchdowns to five INTs over two seasons, but for this team, that’s not horrible. Senior Tommy Lazzaro was an exaggerated Poljan. Pretty big himself (6’3, 217), he rushed for a team-best 438 yards (again, sans sacks) at 5.3 per carry and averaged more yards per completion (still just 10.5) — but had a worse completion rate (48 percent), a worse sack rate (nine percent), and double the INT rate (7 percent). Sophomore Austin Hergott, another big dude (6’3, 233) who got playing time late in the year and didn’t do a lot with it. Three-star redshirt freshman George Pearson, who acquitted himself well, relatively speaking, in his lone appearance (12-for-22, 94 yards, and a touchdown against Toledo). Richardson, the three-star freshman who threw for 2,300 yards at Miami Carrol City High last season. 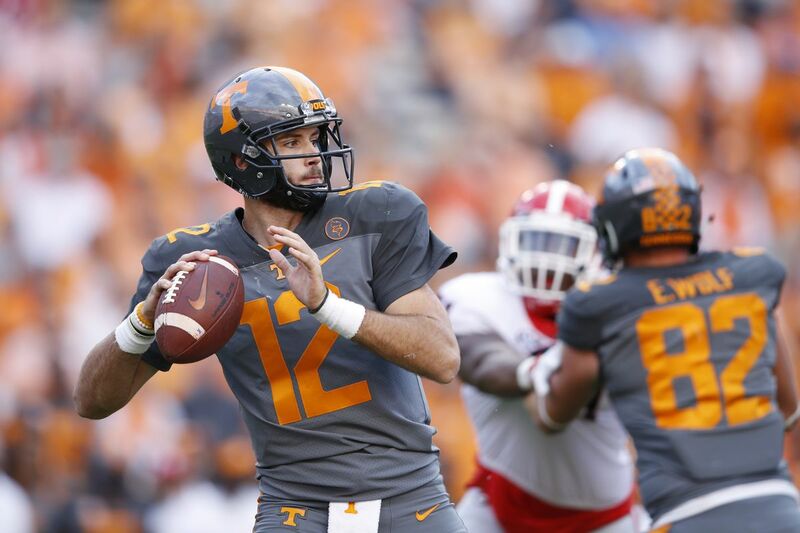 Quentin Dormady! The transfer has gone from Tennessee to Houston to CMU, and while his stats with the Vols in 2017 weren’t amazing — 56 percent completion rate, 12.2 yards per completion, 4.4 percent INT rate, 2.1 percent sack rate — he’s the most proven passer on the roster. Let the battle royal begin. The winner will be protected by a reasonably experienced line. Eipper and Smith are among five with starting experience (49 career starts), two of whom were freshmen last year. The core isn’t beefy, though, so three incoming three-stars (315-pound Cameron Vaughn or 295-pounders Danny Motowski and Vashon Bailey) might get a shot. In the skill corps, it’s the same quantity-over-quality situation. Ross, fellow senior Jonathan Ward, and junior Kumehnu Gwilly are seasoned (albeit lacking an amazing track record), and sophomore Kobe Lewis and Nichols, the freshman, could challenge. At receiver, Hicks (313 yards, 6.7 per target) did well for a freshman as the No. 1 target on a team without proven options, and you would hope a couple of players from a large batch of interesting true and redshirt freshmen (6’4 redshirt Keonta Nixon, 6’3 redshirt Tyrone Scott, incoming three-star Darrell Wyatt) could make an impact. The offense will need to improve, because the defense will regress. The Chips wasted a defense that was 30th in Passing S&P+ and 20th in passing success rate — nothing like having a good pass defense when the opponent never has to pass — and while the secondary could hold up, a pass rush that was the team’s biggest strength (16th in sack rate) starts over. I mean, it completely starts over, at least if Danna is gone. His name went into the transfer portal, and you could see the motivation for him trying to find a higher-visibility place to end his career. Danna has 23.5 TFLs over the last two seasons, and he should be able to find a Power 5 home for his senior season. 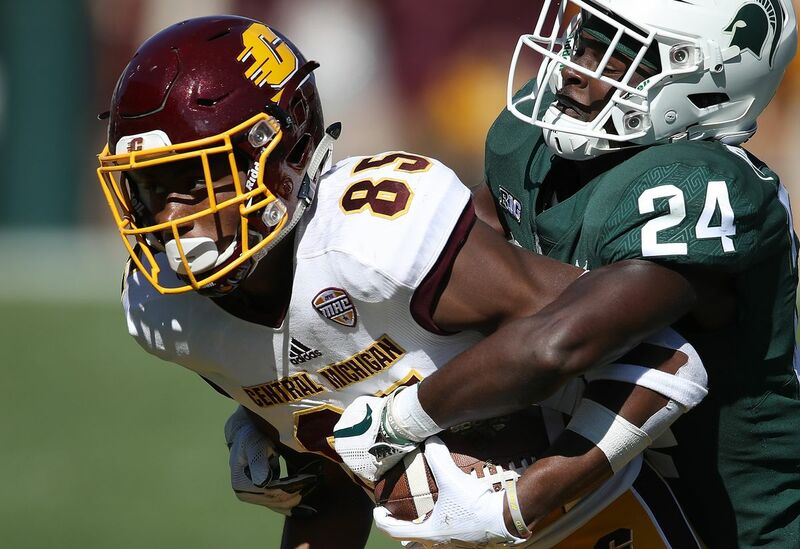 With Danna, CMU built a complementary pass rush, too: four other players had at least 2.5 sacks (and again, that was with opponents passing minimally — CMU faced a lower rate of passing-downs pass attempts than anyone in the country). Those four are gone, and Danna probably will be, too. Ouch. Tackles Robi Stuart and D’Andre Dill are back, and sophomore LaQuan Johnson was a late revelation — he has 4.5 TFLs in just four games. Four-star Michigan transfer Deron Irving-Bey will be eligible and could play either inside or outside. Senior Michael Oliver isn’t amazing from a play-making standpoint but has contributed over multiple seasons. Safeties Devonni Reed and Da’Quaun Jamison are back; Reed was second on the team in tackles, and Jamison was maybe the best playmaker in a good secondary. If the Chips’ offense can generate more scoring opportunities, they could take better advantage of Ryan Tice. The senior-to-be made seven of eight FGs longer than 40 yards last year; he and kick returner Kobe Lewis were easily the best things about a unit that ranked 79th in Special Teams S&P+, and they’re both back. If the strong defensive backbone can hold up enough to allow for the offense to improve more than the defense regresses, then consider it a successful season. 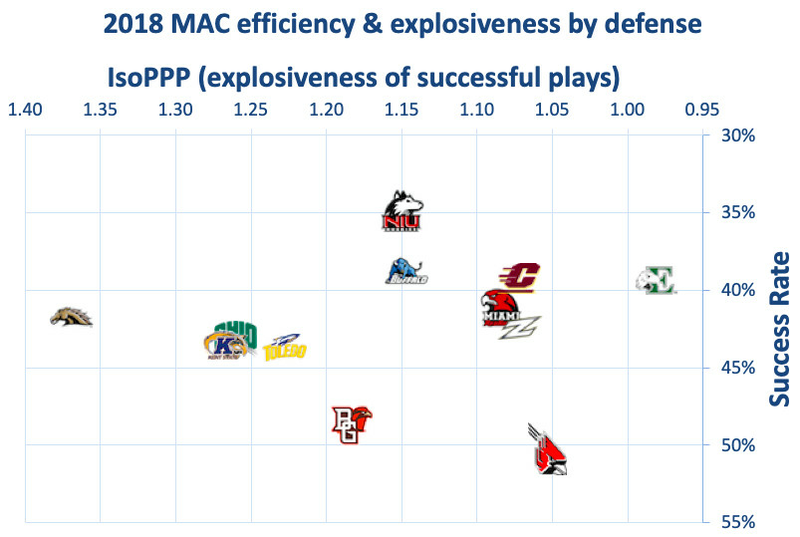 There are plenty of potential wins on a slate that includes home games against Albany, NMSU, and Akron and tolerable road trips to Ball State and BGSU, but if McElwain is able to develop some of these exciting youngsters and get CMU’s recruiting back into the MAC’s upper half (he’s off to a good start), then the Chippewas will probably be fine. Funding and program support make this a hard job, but McElwain’s a good coach. And at this moment, the bar’s low.